The Latin American Association of Operators Electronic Funds Transfer and Information Services (ATEFI) has signed an Agreement of Understanding and Mutual Cooperation with The Police Community of the Americas (AMERIPOL). This public-private sector Agreement, signed in in Buenos Aires (Argentina), enables ATEFI and AMERIPOL, through collaboration and mutual professional training, to carry out preventive and investigative actions through forensic analysis of fraud and cybercrime cases. In May 2016 EAST and ATEFI joined forces to to further strengthen inter-regional cooperation in combating all types of payment crime including payment card fraud, hi-tech crime and ATM cyber and physical attacks and in October 2015 EAST participated in a two-day meeting in Bogota (Colombia) to discuss payment card fraud overseas and money withdrawals in Latin America. This meeting, attended by AMERIPOL, was organised by Europol in cooperation with the Colombian authorities (Policia Nacional and its Liaison Bureau at Europol) with the financial support of the Romanian authorities. This new public-private sector initiative in Latin America is welcomed by the industry in Europe as another step forward in global efforts to tackle transnational payment fraud and financial crime. EAST has worked with Europol since 2004, a partnership that was strengthened in June 2015 by the signing of a Memorandum of Understanding (MoU), and in June 2017 EAST and ASEANAPOL formalised collaboration. ASEANAPOL is the National Police organisation for the Association of Southeast Asian Nations (ASEAN). The end of another busy year is almost upon us. On behalf of the EAST Board I would like to thank everyone who has contributed towards the continued success of EAST this year – and it has been a very busy year. In June we changed our name to become the European Association for Secure Transactions, the culmination of many discussions held by our Board and National Members, and positioning EAST to continue to be able to support the needs of our members in the fast changing payments landscape. The announcement was made at our Third EAST FCS Forum in The Hague. This well-attended event, the best yet, also featured two new interactive workshops run by EAST EGAF and EAST EGAP. The EAST Expert Group on All Terminal Fraud (EGAF), chaired by Otto de Jong, held three meetings in January, May and September, all hosted by ING in Amsterdam. EGAF updated its guidelines on standardising terminology for locations of Card Data Compromise (CDC) devices at ATMs and also the definitions used to report and classify ATM fraud. Law Enforcement participation is from Europol, the US Secret Service, the BKA and the French Gendarmerie (IRCGN). 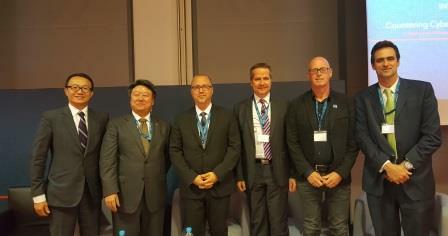 The EAST Expert Group on ATM and ATS Physical Attacks (EGAP), chaired by Graham Mott, held two meetings in March and September, both in The Hague, one hosted by Europol and the other by the LINK Scheme. Law Enforcement participation in this group is increasing with LEAs from 8 different countries participating, in addition to Europol. The EAST Payments Task Force (EPTF), chaired by Rui Carvalho, held its first face-to-face meeting in April and its second meeting last month. Both were hosted by the BPFI in Dublin. This group will add value to the payments industry by using the unique and extensive EAST National Member platform and Associate Member network to provide information and outputs that are not currently available elsewhere. Law Enforcement participation is from Europol and the US Secret Service. In addition to the work of the above groups, we supported Law Enforcement during the year by presenting at: the Europol Training on Payment Card Forensics; an INTERPOL event focussed on countering Cyber and Financial Crimes; Europol’s 4th Strategic Payment Card Fraud meeting in Asia; and Europol’s first combined Strategic Payment Card Fraud Meeting with representatives from Asia-Pacific, Europe and Latin America. We took part in the 5th Europol-INTERPOL Cybercrime Conference and formalised a relationship with ASEANAPOL, another step forward in addressing the consequences of the spread of the activities of organised criminal groups across regions and globally. We also presented at the following private sector events: the MasterCard Global Risk Leadership Conference – Europe, the NCR Fraud & Security Summit, the Third Latin America Security Forum, and the General Assembly of Vigie Billet. EAST continues to keep abreast of the latest fraud trends and crime information, publishing our European Payment Terminal Crime Reports and European Fraud Updates. Our thanks again go out to all the people and organisations that have shared information for the above, and for EAST Fraud Alerts (41 sent out this year to date), and EAST ATM Physical Attack Alerts (12 sent out this year to date). Our first Payment Alert is expected to be published shortly. EAST Associate Membership continues to grow. We now have 192 Associate Member organisations from 52 countries and territories. This membership category is open for worldwide application to all Banks, Law Enforcement (free membership available), and other approved ATM Stakeholder organisations. Wherever you are reading this I would like to wish you a wonderful festive break and a very happy New Year! Rui Carvalho, EAST Development Director, presented at the third Annual Latin American Forum on Security in Payment Systems, held on 18th / 19th October 2017 in Lima, Peru. The event was co-organised by ATEFI and Liquid Nexxus in order to raise awareness of payment-related crime in Latin America. 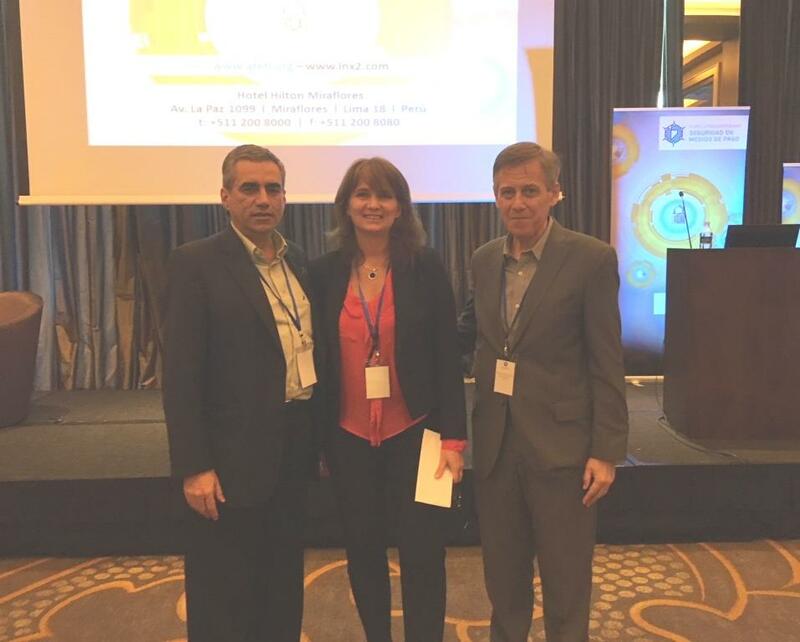 Rui Carvalho (pictured on the left with Fernanda Romero and Oscar Castellano of ATEFI) presented an overview of Terminal Related Fraud and Transaction Fraud in Europe from the perspective of the Electronic Payments Industry, as represented by EAST. 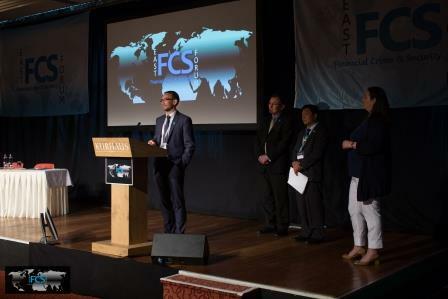 3rd EAST FCS Forum – the most successful yet! 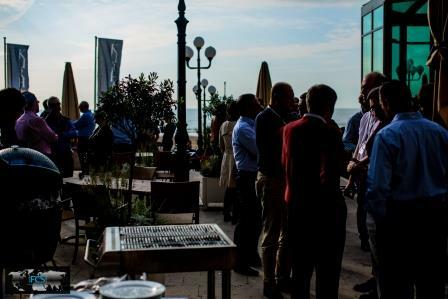 The sun has set on another successful EAST Financial Crime & Security (FCS) Forum which was held for the second time at the Grand Hotel Amrâth Kurhaus, in Scheveningen, The Hague. Feedback from delegates has been hugely positive. This year marked a new format which included plenary sessions covering expert information from global regions: Asia-Pacific (ASEAN), Latin America, USA, Russia and Europe. 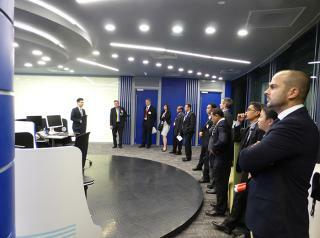 19 expert speakers travelled from 14 countries around the world to share their knowledge of ATM crime prevention. In addition an afternoon of breakout sessions was held covering topics related to ATM and payment terminal fraud, and to ATM physical attacks. Networking opportunities were abundant – a welcome cocktail the evening before the event, ensured all delegates were comfortable to kick off the Forum having met with their peers in a relaxed environment. Exhibitors enjoyed increased traffic through the exhibition hall, giving demos to attendees during coffee breaks, lunch and demonstration sessions. 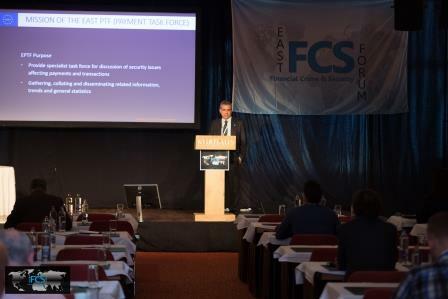 Day One of the EAST FCS Forum opened with keynote speaker Steven Wilson, Head of the Europol Cyber Crime Centre (EC3) who spoke about the multi-faceted approach to countering cybercrime and the success of public private partnerships, especially the cooperation between EC3, non-EU States and EAST members. Lachlan Gunn, Executive Director EAST, provided relevant statistics from the EAST European ATM Crime Report. He also announced a name change for EAST which is now the European Association for Secure Transactions. A milestone for EAST which has mainly focused on issues facing the ATM industry thus far, but which will now look at all threats against payment terminals (ATM, SST and POS), as well the security of payments and transactions. Lachlan was followed by presenters from ASEANAPOL, the US Secret Service, the Russian Mastercard Members Association, and from the Latin American Association of Operators Electronic Funds Transfer and Information Services (ATEFI), who all gave the audience the most current information on activity in their regions. In the afternoon breakout sessions Otto de Jong, EAST EGAF Chair, led discussions which covered R&D by fraudsters on EMV and old school ATM Fraud, and Graham Mott, EAST EGAP Chair, facilitated discussions on banknote degradation, physical attack types and countermeasures and traditional attacks. The day closed out nicely with a BBQ by the beach! Day Two kicked off with Group-IB providing an overview on the evolution of logical attacks on financial institutions. This was followed by a case study on Black Box attacks from NCR Czech Republic and an update from ING Netherlands on the evolution of gas and solid explosive attacks. There was a case study on countering such explosive attacks from the UK’s West Midlands Regional Organised Crime Unit, and the final talk of the day came from Rui Carvalho, Development Director EAST, who is building the EAST Payments Task Force and provided an overview on current and future activities for EAST. In her closing address, conference Chairman Úna Dillon, Development Director of EAST, summarised the two-day conference by noting the importance of cross-border public-private sector cooperation in the fight against financial crime – stressing the need for private sector industry stakeholders to collaborate with law-enforcement agencies. She added that whilst EAST delivered the conference, the people charged with building the event are also deeply involved in the collaborative work already going on. Their ‘on-the-ground’ involvement means the EAST FCS Forum agenda will always be relevant and current. This 3rd EAST FCS Forum has proven to be a successful platform in bringing together the perfect mix of banking representatives, security experts, law enforcement, payments associations, government agencies and many other stakeholders in the ATM and payment crime prevention sector – the dialogue and learning from across Europe, the USA, Latin America, Russia and Asia-Pacific will no doubt help all participants to better detect and prevent current and future financial crime threats. The event could not have taken place without the support of sponsors, exhibitors, speakers and delegates. EAST hugely appreciates the participation of all who took part and thanks everyone for their contribution to making the event a success. Overall sponsor of the EAST FCS Forum 2017 was 3SI Security Systems. Other sponsors and exhibitors included, the ATM Security Association, ACG, BVK, GMV, MIB, Startech Ltd. and TMD Security. We held National Member meetings in Stockholm in February (our 38th Meeting co-hosted by Bankomat AB and the Pan-Nordic Card Association), in The Hague in June (our 39th Meeting hosted by Europol) and in Bucharest in October (our 40th Meeting hosted by the Romanian Banking Association – ARB). In January The Polish Bank Association (ZBP) joined EAST as the new National Member for Poland, taking over from Bank Zachodni WBK. The EAST Expert Group on ATM Fraud (EGAF), chaired by Otto de Jong, held three meetings in January, May and September, all hosted by ING in Amsterdam. EGAF members assisted Europol to translate the co-produced document ‘Guidance & recommendations regarding logical attacks on ATMs’ into German, Italian and Spanish. The EAST Expert Group on ATM Physical Attacks (EGAP), chaired by Graham Mott, held two meetings in March and September, both hosted by the LINK Scheme in London. In February EGAP published a document entitled ‘ATM Physical Security Guidelines’ and in October a document with lists of the Manufacturers of ATM Protective devices. The EAST Payments Task Force (EPTF), chaired by Rui Carvalho, continues to come together. 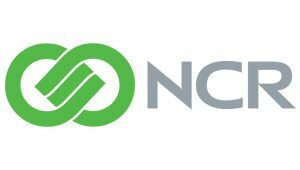 EAST has expanded its remit beyond ATMs to include all terminal types and the EAST focus is increasingly moving to Card Not Present (CNP) fraud issues which continue to rise. A series of teleconferences have been held and the first face-to-face meeting is planned for 2017. 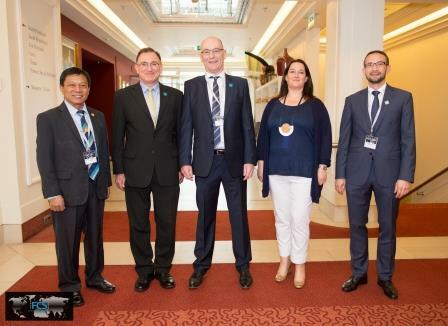 In March EAST supported Europol and represented the private sector at the Second Strategic Meeting on Payment Card Fraud (PCF) in Kuala Lumpur, Malaysia. I participated in this two day meeting which was co-organised with ASEANAPOL, with the cooperation of INTERPOL and the support of the Romanian National Police and the Royal Malaysian Police. In May EAST joined forces with the Latin American Association of Operators Electronic Funds Transfer and Information Services (ATEFI) in order to further strengthen cross border cooperation in combating all types of payment crime including payment card fraud, hi-tech crime and ATM cyber and physical attacks. In June Úna Dillon presented at the 2nd Europol Training Course on Payment Card Fraud Forensics and Investigations, which was held at the National Spanish Police Academy, Ávila, Spain, and at the 37th member meeting of the European Association of Payment Service Providers for Merchants (EPSM), which was held in Dublin, Ireland. In August Rui Carvalho presented at the SAS Fraud & Security Intelligence Customer Connect event held in the USA at the SAS World Headquarters in Cary, North Carolina. . In December I presented on behalf of the private sector at the Third Strategic Meeting on Payment Card Fraud (PCF) organised by Europol in Bangkok, Thailand. The event was co-organised with ASEANAPOL and INTERPOL with the support of the Romanian National Police and the Royal Thai Police, and was hosted by the Electronic Transactions Development Agency (ETDA), and the Ministry of Digital Economy and Society. EAST continues to keep abreast of the latest fraud trends and crime information, publishing our European ATM Crime Reports and European Fraud Updates. Our thanks go out to all the people and organisations that have shared information for the above, and for EAST ATM Fraud Alerts (49 sent out this year to date), and EAST ATM Physical Attack Alerts (3 sent out this year to date). 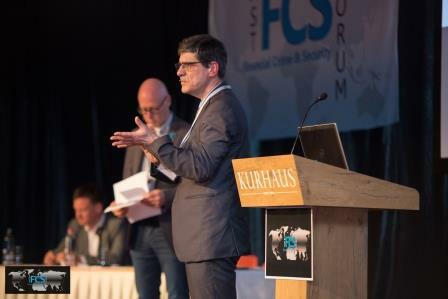 Lastly, registration is now open for our third Financial Crime and Security (FCS) Forum, EAST FCS 2017, which will be held on 8th/9th June 2017 in The Hague. This event has an exciting new format which will include breakout sessions hosted by both EGAF and EGAP. As I write early-bird registration discounts are still available. It would be wonderful to meet you there. 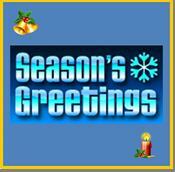 On behalf of EAST, I would like to wish all readers a wonderful festive break and a very happy and fulfilling New Year. Registration is underway for the EAST Financial Crime & Security 2017 conference (EAST FCS 2017) which takes place at the Grand Hotel Amrâth Kurhaus in Scheveningen, The Hague, Netherlands on 8th / 9th June 2017. This year the aim is to increase the networking opportunities as well as to provide the most up to date information on ATM security threats, fraud trends, solutions, best practices and the benefits of collaboration with local law enforcement agencies. We will also run several workshops where you can brainstorm together with senior executives from across the globe. We have gathered some of the best known and expert speakers from all over the world including from Interpol (Asia), ATEFI (La Asociación Latinoamericana de Operadores de Servicios de Transferencia Electrónica de Fondos e Información / The Latin American Association of Operators of Electronic Funds Transfer and Information Services), Banorte, U.S. Secret Service, MMA Russia, Citbank plus our esteemed colleagues who chair the EAST Expert Groups on Physical Attacks and Fraud; and many more. A fantastic line-up with plenty of time between sessions to meet with industry peers to discuss shared interests. Places are limited so be sure to get in before the early bird discount deadline ends on 16th January 2017. To avoid missing out on your place at this prestigious industry event find our registration page here. If you plan to stay at the venue, be sure to book the hotel during your FCS registration. We have negotiated an excellent rate with the Kurhaus which can be obtained by using the code E16ATM10ST16 under the ‘Group Code’ option on the hotel’s booking page. This year we have also introduced a networking gala dinner. For only €30 on top of your registration fee, this is a great opportunity to build your network and grow your collection of global contacts. It takes place after Day One, on the evening of 8th June. The hotel promises an excellent dining experience and possibly even a table or two outside, weather permitting! For relevant solution providers we have a few remaining sponsorship opportunities available. See here for more details on the best ways to reach your target market at this event. For more overall details on EAST FCS 2017, please see the event’s page on our website. EAST has joined forces with the Latin American Association of Operators Electronic Funds Transfer and Information Services (ATEFI) in order to further strengthen cross border cooperation in combating all types of payment crime including payment card fraud, hi-tech crime and ATM cyber and physical attacks. The groups first engaged when ATEFI presented at the inaugural EAST Financial Crime and Security Forum (EAST FCS) in The Hague in June 2013 where ATEFI representatives Orlando Garcia, Executive Director, ATEFI (Panama) and Pablo Carretino, Head of Risk & Security, Banelco (Argentina) presented the ‘Fraud Situation in Latin America’. EAST reciprocated by presenting at the first annual Latin American Forum on Security in Payment Systems in Paraguay last November, hosted by Oscar Castellano, ATEFI. Úna Dillon, EAST Development Director, shared information and data on payment crime activities affecting EAST members in Europe and around the world. The two organisations have been working together since then. Mutual Associate Membership allows EAST and ATEFI to exchange strategic data and other non-operational information. We held National Member meetings in Rome in February (hosted by Consorzio BANCOMAT), in The Hague in June (hosted by Europol) and in London in October (hosted by the LINK Scheme). During 2015 we welcomed five new National Members representing South Africa (South Africa Banking Risk Information Centre – SABRIC), Serbia (Chamber of Commerce and Industry of Serbia – CCIS), Turkey (Bankalararasi Kart Merkezi A.S. – BKM), the United States (Citi Security & Investigative Services -CSIS) and Brazil (Tecnologia Bancaria S/A). The EAST Expert Group on ATM Fraud (EGAF), chaired by Otto de Jong, held three meetings in January, May and September, all hosted by ING in Amsterdam. In June EGAF produced guidelines for the Standardisation of Terminology for Locations of Card Data Compromise devices at ATMs and assisted Europol to produce Guidance & recommendations regarding logical attacks on ATMs. The EAST Expert Group on ATM Physical Attacks (EGAP), chaired by Graham Mott, held two meetings in March and September, both hosted by the LINK Scheme in London. 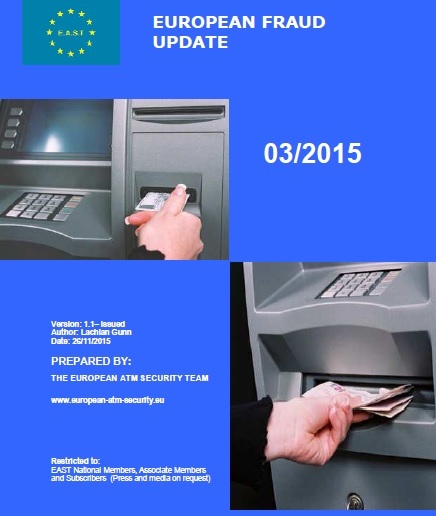 In September we sent out our first EAST ATM Physical Attack Alert in a format agreed by EGAP. In June Europol’s European Cybercrime Centre (EC3) signed a Memorandum of Understanding with EAST in order to further strengthen a working partnership that has been in place since the first EAST meeting took place in February 2004 . 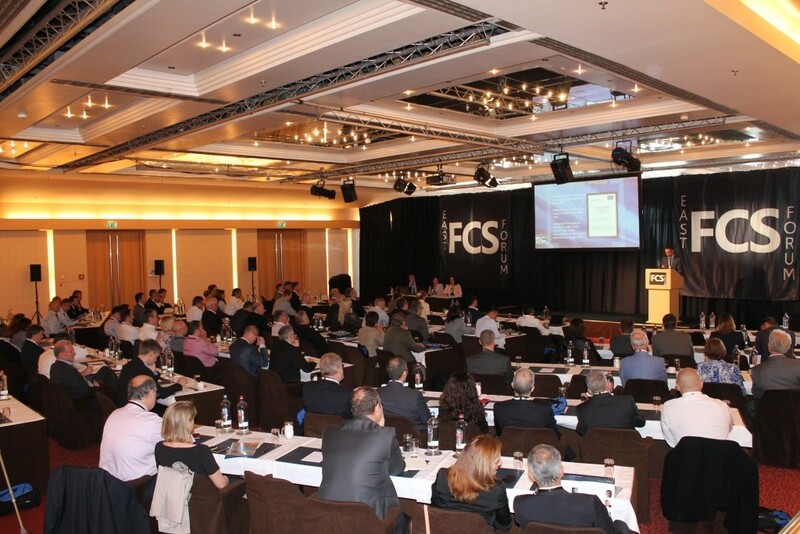 In June we also held our second EAST FCS Forum in The Hague. The event proved to be a successful platform in bringing together the perfect mix of banking representatives, security experts, police, payments associations, government agencies and many other stakeholders in the ATM crime prevention sector. It was planned and organised by EAST Development Director Úna Dillon, working with Liquid Nexxus, and will be followed by our third FCS Forum in June 2017. In October EAST supported Europol at an International Payment Card Fraud Meeting in Colombia – Rui Carvalho, EAST Director and national representative for Portuguese National Member SIBs, participated in a two-day meeting in Bogota to discuss payment card fraud overseas and money withdrawals in Latin America. In November this support for Europol continued at an International Payment Card Fraud Meeting in Singapore. I participated in a two-day meeting that was held in the INTERPOL Global Complex for Innovation (IGCI) and was co-hosted by Europol and INTERPOL to discuss payment card fraud overseas and money withdrawals in the extended South East Asia region. Later in the month Úna Dillon presented the latest European Fraud Report to the first Annual Latin American Forum on Security in Payment Systems, held on 18th / 19th November 2015 in Asuncion, Paraguay. 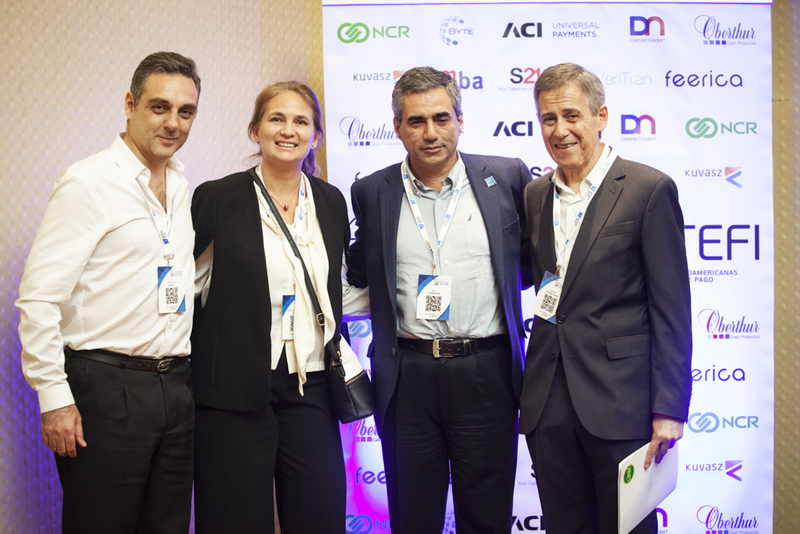 The event was co-founded by ATEFI (Latin American Association of Operators Electronic Funds Transfer and Information Services) and Liquid Nexxus in order to raise awareness of payment-related crime in Latin America. EAST continues to keep abreast of the latest fraud trends and crime information, publishing our European ATM Crime Reports and European Fraud Updates. Our thanks go out to all the people and organisations that have shared information for the above, and for EAST ATM Fraud Alerts (27 sent out this year to date), and EAST ATM Physical Attack Alerts (2 sent out this year to date). Finally, on behalf of EAST, I would like to wish all readers a wonderful festive break and a very happy and fulfilling New Year. Úna Dillon, EAST Development Director, presented the latest European Fraud Report to the first Annual Latin American Forum on Security in Payment Systems, held on 18th / 19th November 2015 in Asuncion, Paraguay. The event was co-founded by ATEFI and Liquid Nexxus in order to raise awareness of payment-related crime in Latin America. 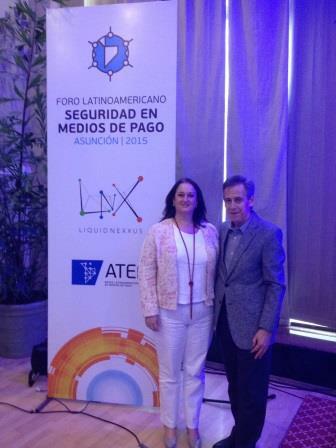 Oscar Castellano, Executive Director of ATEFI (and pictured with Úna), opened the two-day event with an overview of fraud trends in Latin America, based on data provided by ATEFI members. Relevant industry players representing POS and ATM networks joined representatives from banks, regulators, law enforcement and service providers in Latin America, with a focus on fraud trends and networking, to help improve coordination in the fight against payment fraud in Latin America. Speakers at the Forum included Robert Villanueva – United States Secret Service, Vanderlei Reis de Oliveira – Executive Manager of Banking Technology Security at Tecban, Antonio Cerezo – Director of Cyber Crime Investigations at American Express (Argentina), Leonardo Escobar- ACI Worldwide, and many others. 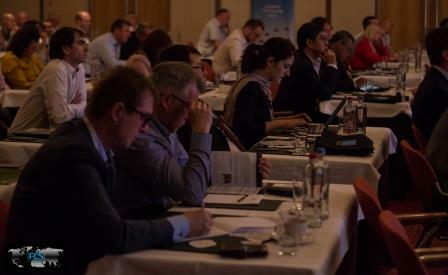 The EAST presentation, which covered the latest ATM Fraud Trends in Europe (Period H1 2015), was well received with a significant number of delegates approaching Úna Dillon during and after the event to discuss Associate Membership of EAST. In his closing remarks Oscar Castellano asked that EAST continue to develop its close relationship with ATEFI, to help the global fight against ATM related crime.